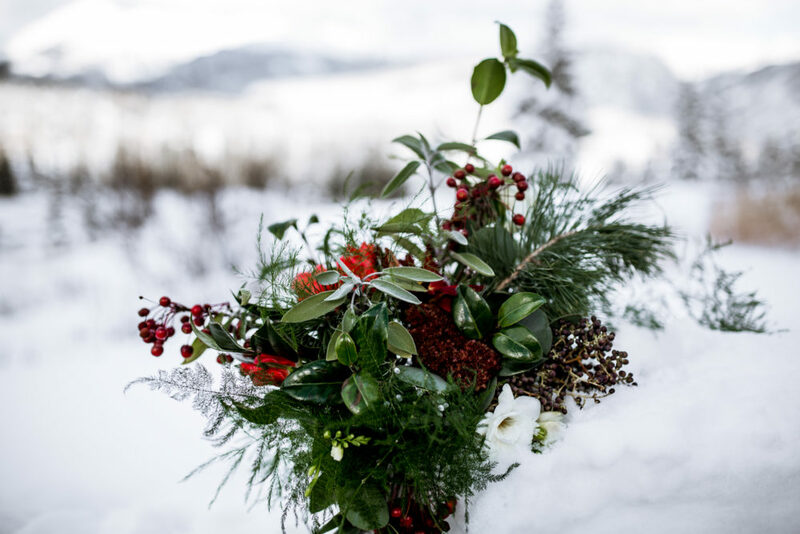 From the designer, Colleen of April’s Garden Weddings: Durango had just gotten fresh snow the week of Thanksgiving. 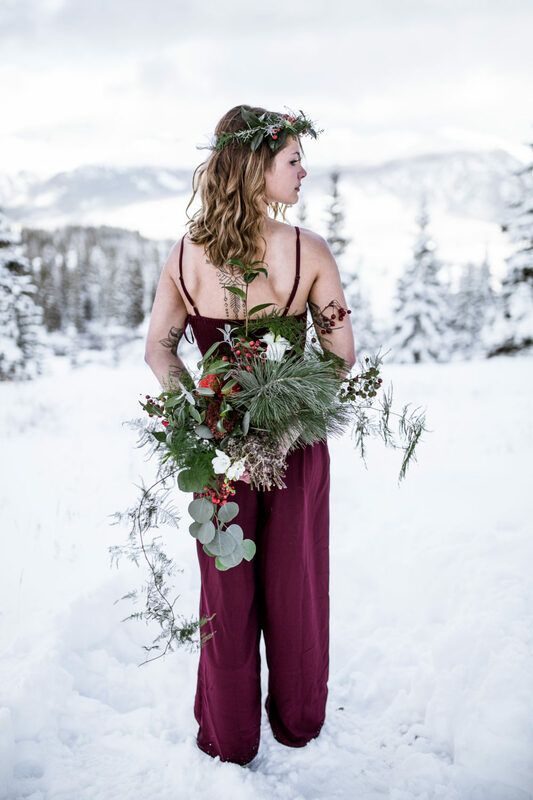 As soon as the snow stopped falling and the sky opened to a beautiful blue, photographer Jenne Anne and I gathered dresses, make-up, flowers, a lovely model, and a couple of 4×4 trucks, and we headed up into the mountains to capture the best light. 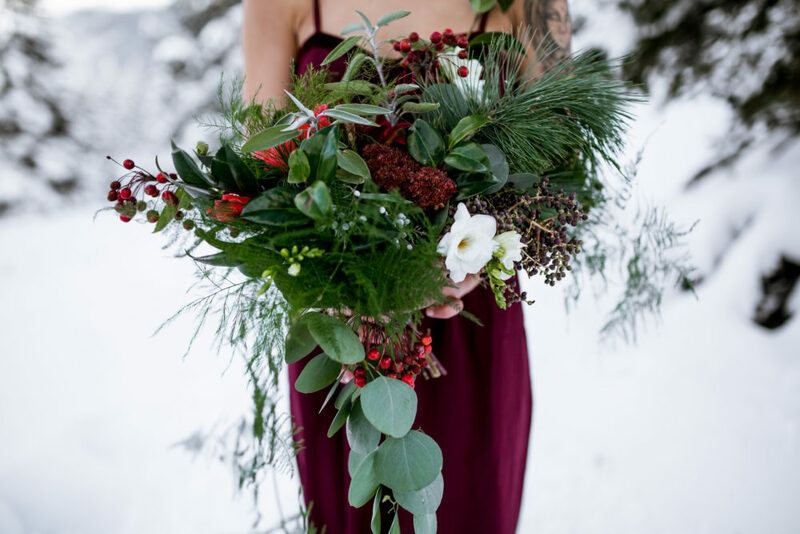 Winter greens fit so well for a holiday shoot and the color of the year GREENERY!!! is so exciting. 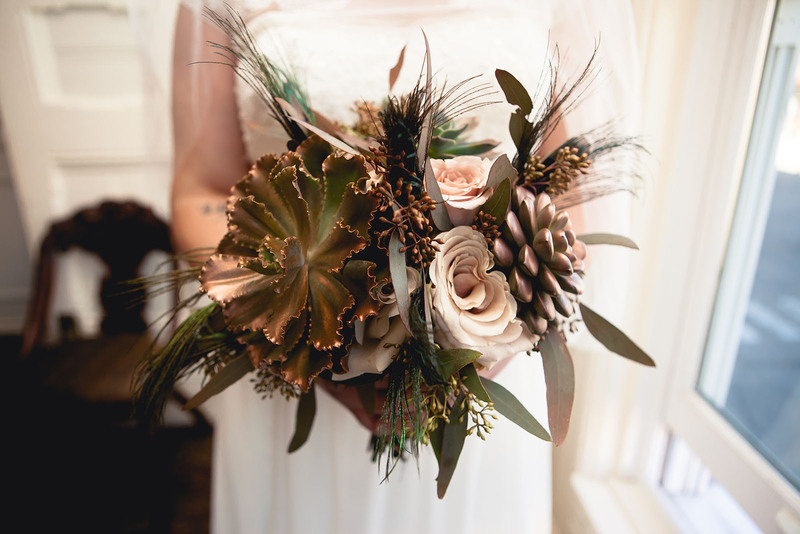 It was a blast to use locally grown stems in a wedding wreath and flower crown. 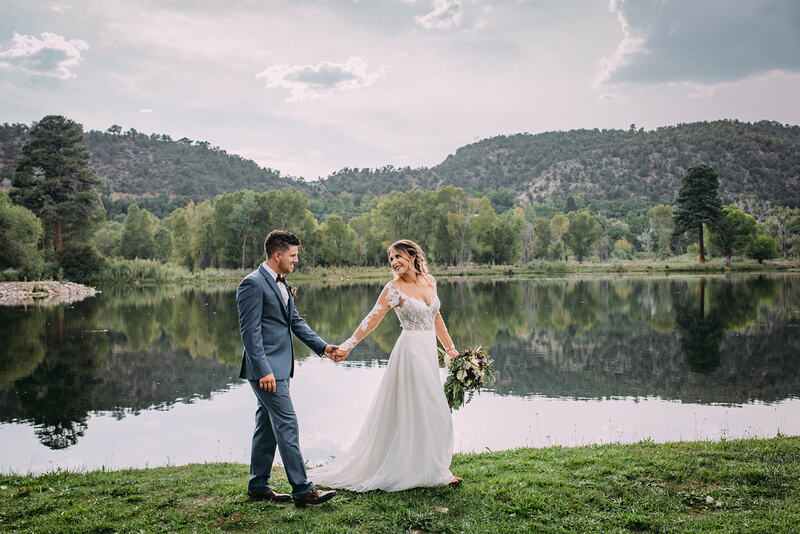 Glossy magnolia and vintage garden roses all were made to fit the setting and the look we were going for to highlight Colorado and the upcoming Durango Wedding Expo on January 14th, 2016. Hope to see you all there. 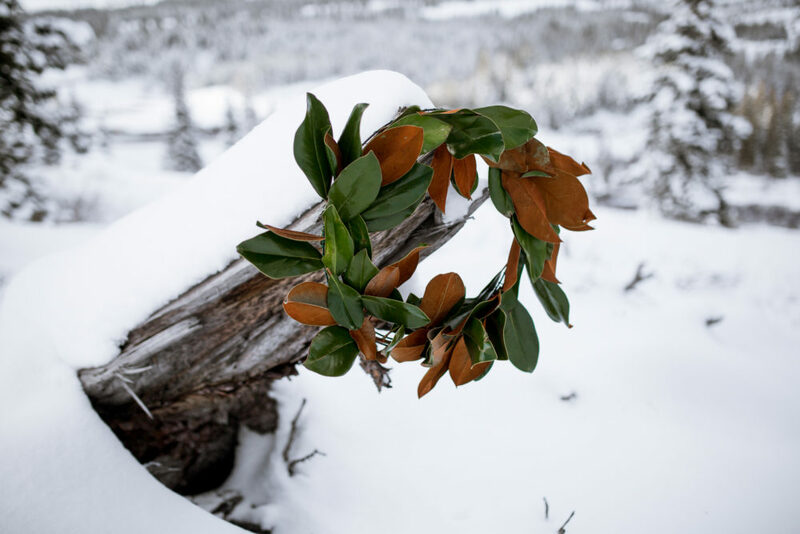 From the photographer, Jenne Anne: When some of the first snow of the season started to fly, I was thrilled and filled with ideas. 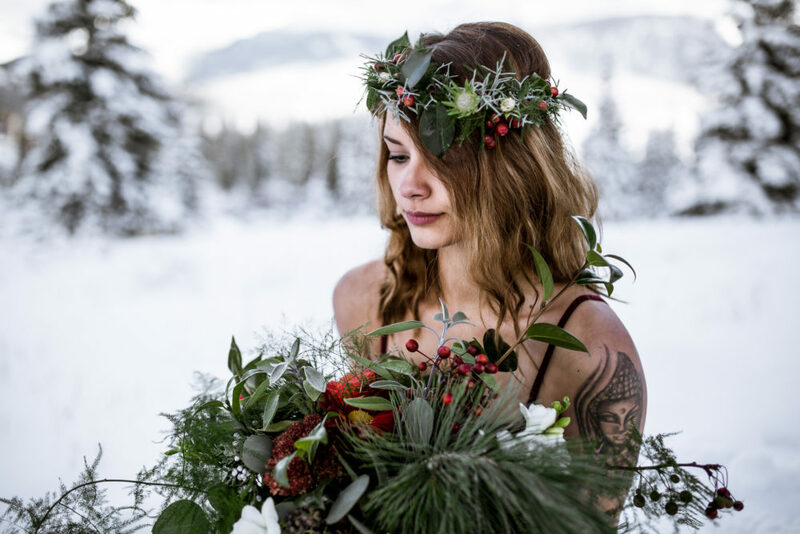 Colleen and I connected for a small styled shoot to kick off and capture the feel of the season. 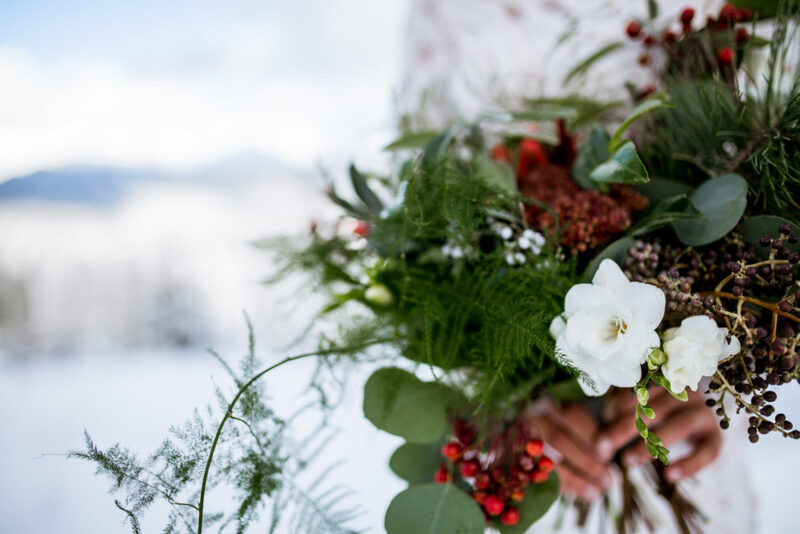 We wanted deep hues and texture to contrast against the beautiful white landscape with a soft romantic feel. 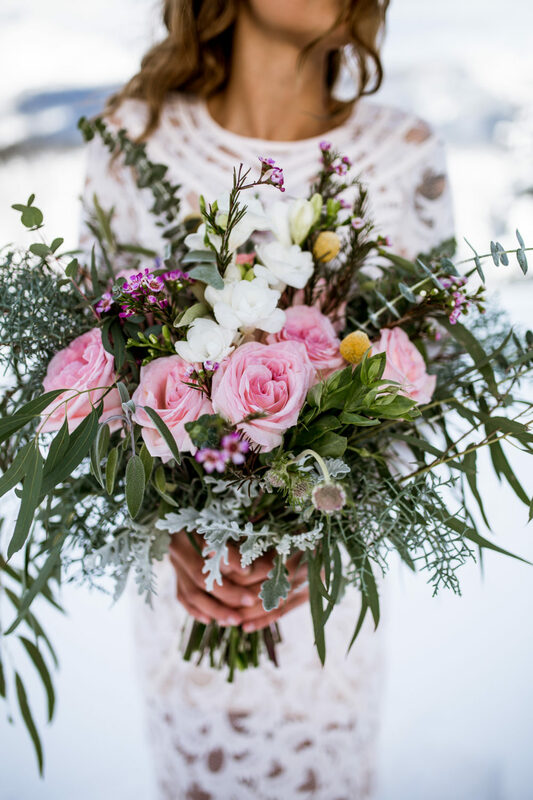 Colleen always has an incredible vision, we can share our ideas and run with our creative freedom and really make an incredible team. 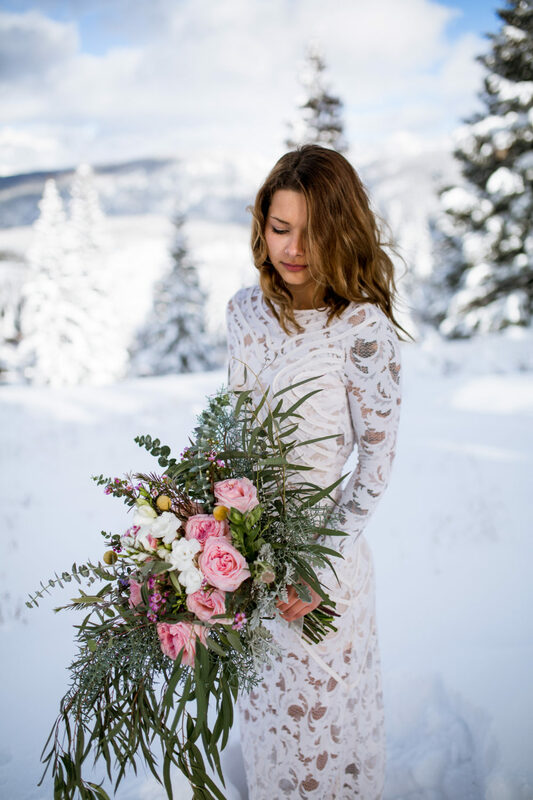 We wanted to capture the soft delicate nature of this beauty in the snowscape and florals as well as make a statement for the holidays. 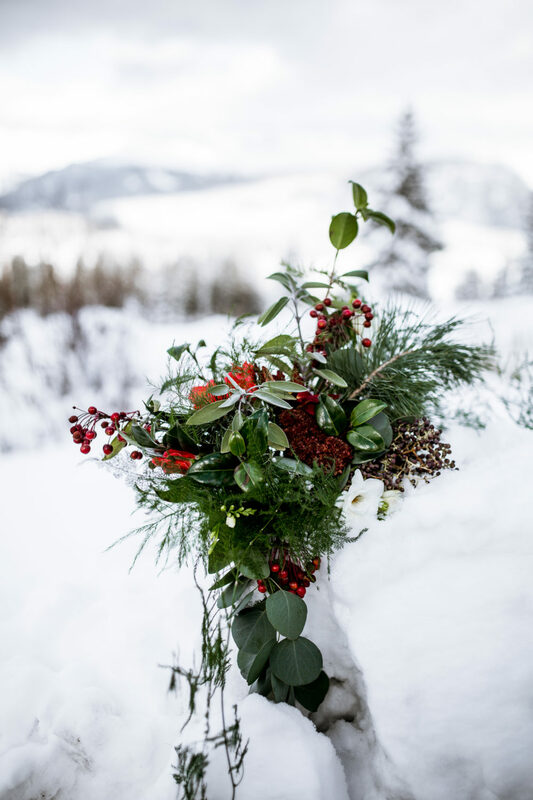 We are really looking forward to sharing what we are bringing together especially for the Durango Wedding Expo on January 14th. Be sure to swing by and see us!